There is a ton of information floating around the internet on fasting and ketogenic diets. What is lacking is the fundamental explanation of why it is so powerful and more advanced techniques to take it to the next level. 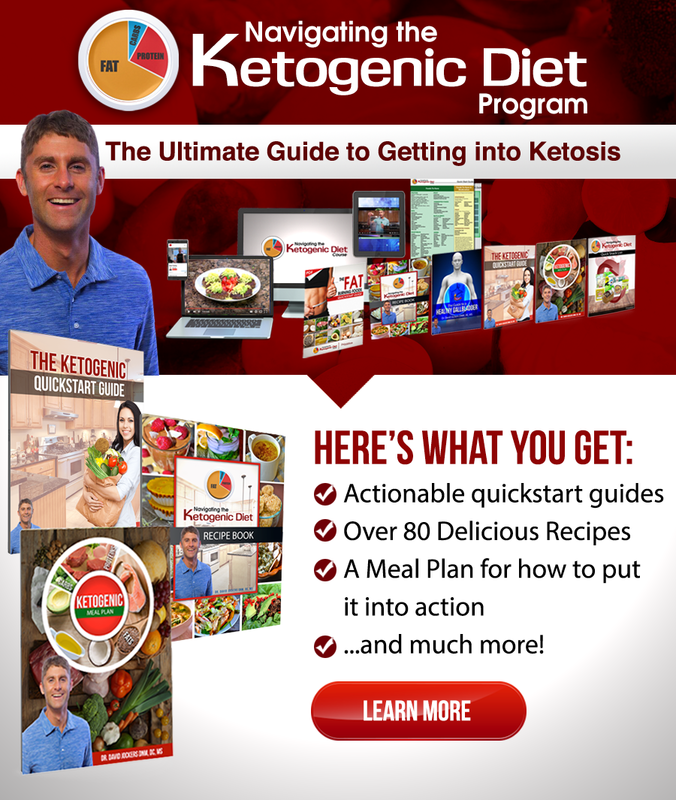 I’m going to break down the science and show you how to follow a cyclic ketogenic diet in a way that is best for your body. It seems that so much of the information available is one size fits all. Something you quickly learn as a clinician, however, is that no such thing exists. That’s why I created this article to help as many people as possible find that sweet spot where they can feel amazing following a ketogenic diet while avoiding common downfalls. I have found the cyclic ketogenic diet to be the best approach for long-term compliance on an anti-inflammatory plan. While a strict ketogenic diet was all the rage at first, people began to pick up on negative effects of long-term carb restriction. While a strict ketogenic diet still has its place for special cases, we are starting to realize that a cyclic ketogenic diet tends to give us the best of both worlds. 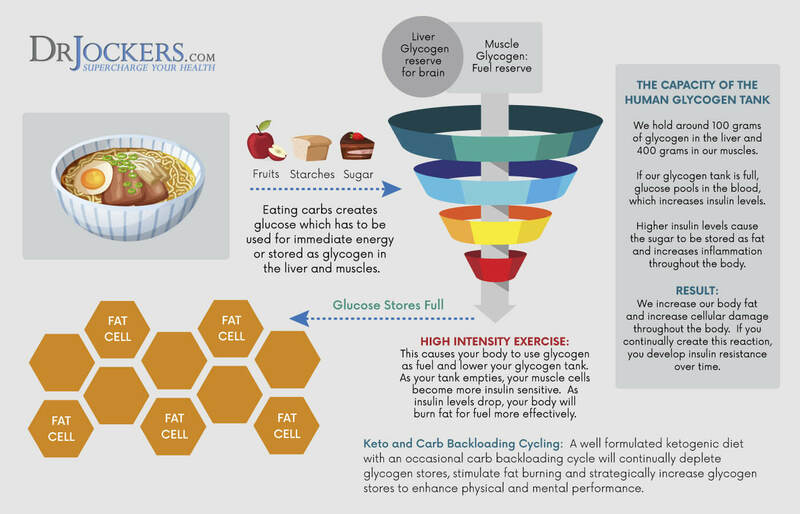 The cyclical ketogenic diet is based off of the feast or famine cycle. This is exactly what it sounds like, you go into a fasted (famine) state for a period of time, followed by a feasting period. This cycle is similar to the kind of eating pattern our foraging and hunting ancestors would have followed as a natural consequence of their lifestyles. Fasting is simply the time you spend not eating. Modern day, since we have an abundance of food all the time, fasting is used as a way to mimic a state of famine. When we fast, we are essentially sending our bodies a signal that food is scarce. As a result, our incredible bodies make physiological adaptations that allow us to survive for longer amounts of time without food. One such adaptation is the ability to form ketones. 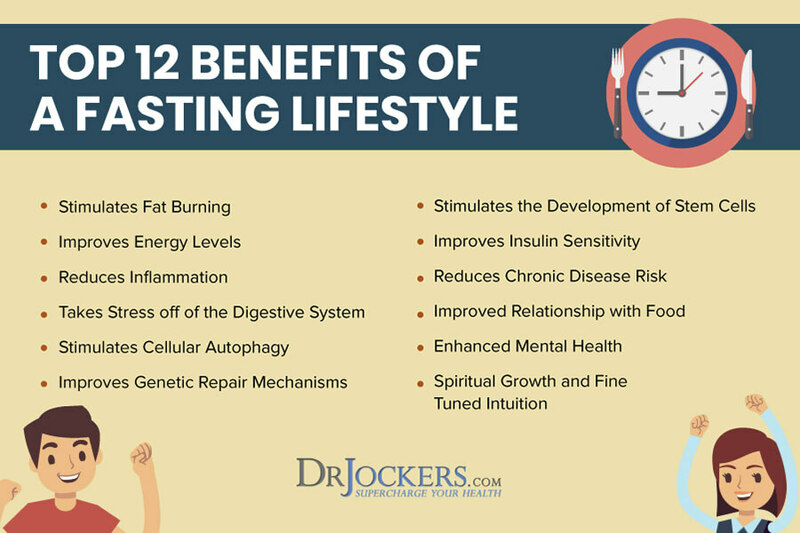 The physiological changes that occur in your body during fasting improve what I refer to as your metabolic flexibility. Being metabolically flexible means that your body can easily switch between different fuel sources (sugar and fats) to immediately meet the current demands of your environment. Most people in our society are reliant on carbs and sugars as an exclusive energy source, in essence they are metabolically inflexible. Because sugar is such an inefficient fuel source, these people are controlled by frequent hunger. After practicing fasting, your body will easily switch over to burning fat to keep your energy levels stable. Boosted Immunity: As energy is directed away from digestion, more energy is directed toward immunity. Fasting also reduces the production of certain inflammatory cytokines that distract the immune system (1, 2, 3). Gut Health: While fasting, the body can focus on healing gut tissues and rebalancing gut microorganisms that distract from your health. Cellular Autophagy: In a fasted state, the body breaks down old damaged cells and recycles them for energy. This process is great for getting rid of cancerous cells and intracellular pathogens like viruses and parasites. What’s left are more optimally functioning cells, this is particularly beneficial for brain health (4)! Genetic Repair: A significant boost in HGH during fasting speeds the body’s ability to repair damaged tissues and DNA. This has important implications for cancer, muscle tissue health, and anti-aging. Insulin Sensitivity: Lack of carbohydrates improves the efiiciency of insulin; balancing blood sugar and helping to better regulate fat burning hormones. The feasting phase of this cycle is sometimes also referred to as refeeding. Many people begin to notice hormonal, thyroid, and adrenal issues during prolonged fasting or strict ketogenic diets. By strategically consuming carbohydrates, you signal to your body that you are not in famine and these negative effects can be avoided. Feasting days kickstart the thyroid, reset the adrenals, and essentially prevent the common problems people experience during prolonged fasting or ketosis. One great strategy to add into your feasting phase is carb backloading and you can read about the benefits and how to use it in this article. The cyclic ketogenic diet may be one of the most powerful healing lifestyle strategies we know of today. Not only do you get to take advantage of the benefits of being in a ketogenic state, but you actually optimize them by preventing the side effects of your body thinking it is in a starvation state. 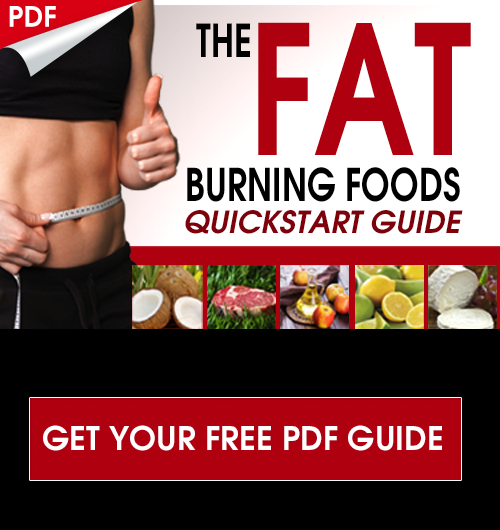 The result is you get more fat burning, feel more energy, mental acuity, higher immunity, drastically reduced inflammation, balanced hormones, and the list goes on. This is an ultimate quality of life boosting tactic! While doing a cyclic ketogenic diet takes care of many of the problems associated with strict ketosis, I still like to stress that there is no one size fits all approach. By following my guidelines below, you can find your sweet spot and make a cyclic ketogenic diet work for your unique lifestyle. My recommendation is that no matter what your current situation is, that you start with the beginner program outlined below. I would give it 2-4 weeks, see how you feel, and if you are responding well take it to the intermediate program and so on. The beginner program is designed to gently guide your body into metabolic flexibility. For many of us, we have been burning sugar for energy our entire lives. This eating plan is designed to begin reversing this state without overstressing the body too quickly. Consume low carb meals Monday-Friday, higher carb meals on Saturday (50-80 net carbs for the day), and fast from protein and carbs Saturday dinner until Sunday Dinner. Repeat this cycle for 2-4 weeks to see how your body responds. If you do not respond well to the 24 hour fast on Sunday, opt instead for a second higher carb day and see how you feel. Once you have implemented the beginner program and feel that it is very easy to maintain with stable energy levels, try progressing to an intermediate program for an additional 2-4 week period. On weekdays, have dinner around 6pm every night and fast until between 8-10am the next morning. On Saturday increase your intake of carbs to 50-80 net carbs for the day. Perform a 24 hour fast from dinner Saturday night until dinner Sunday night. Once you have progressed through the beginner and intermediate programs and feel that your body is thriving, an advanced program is a great final progression. This program is designed for individuals who have reached a significant level of metabolic flexibility with no side effects. On weekdays, have dinner around 6pm every night and fast until between 10am-2pm the next day. On Saturday, increase your intake of carbs to 50-80 net carbs for the day. Perform a 24 hour fast from dinner Saturday night until dinner Sunday night. You may have noticed that in my Intermediate and Advanced strategies above I recommend fasting from carbs and protein. During these times I recommend drinking plenty of fluids like water, organic broth, cleansing teas, and pure organic vegetable juices with no sugar. Additionally, during this fasting period you may consume fats. For many people, I will recommend our Turmeric Fat Burning Coffee or Keto Matcha Green Tea (without the bone broth protein) as it helps keep you full and energized through the fasting period while providing anti-inflammatory benefits! You could also simply add coconut oil or a high quality mct oil to your coffee or tea as a simple source of ketones. While a cyclic ketogenic diet is feasible for most people, there are still special cases of people that should not follow it as I have recommended above. Young Children and Pregnant/Nursing Women should not fast. They can however do very well with a moderate carbohydrate, higher fat style of eating. High Level Atheletes and People Performing High Intensity Exercise For An Hour Or More per day will likely have a hard time fasting for longer amounts of time due to the increased demand on the body. Those With Adrenal and Thyroid Issues will likely do much better with the beginner program as it puts less stress on the body. Over time, as they get better they can move up to the intermediate and advanced phases. These individuals will want to ensure that they are consuming extra minerals during the fasting phase to support the adrenals. Also, these individuals should expect to progress through the cyclic ketogenic programs at a much slower pace. This also applies for irregularly menstruating females, those who are under chronic stress, and people with poor sleep habits. I briefly mention this under the Note on Fasting section. You can absolutely have a bulletproof coffee during the fast and many prefer to do it this way. IS THIS THE SAME DIET FOR CANCER? Two questions. What carbs do you recommend are best for carb up day and can you eat tomatoes and bell peppers on the Keto diet? Hey Anne, I recommend low glycemic carb sources like sweet potatoes. You could also do sprouted quinoa or rice. I recommend drinking about 1 TBSP of apple cider vinegar in 2-4oz of water about 15 minutes before and sprinkling a little in your food as well, this will help stabilize your blood sugar. You can eat tomatoes and bell peppers if you tolerate them well, some people have sensitivities that could cause stress reactions and pull them out of ketosis if they are not careful. With regard to using the keto coffee during the IF time, should be grass fed butter or pure cacao be omitted from the brew? Just stick with the MCTs? Maybe have a couple of tsp of MCT in addition if fasting for a longer period of time? MCTs sre calories, and will break a fasted state. It is my understanding that the mat oil goes right to the liver & does not stimulate digestive enzymes. The other ingredients you mentioned would probably stimulate digestion & technically break your fast. So keto coffee with MCT oil, bone broth, water with ACV or lemon/lime juice can all be consumed during the fasting phase? The fast only includes protein and carbs. The fast can be strict, where you only consume non-caloric liquids or it can be a fat fast where you only consume fats while avoiding carbs and protein. I wish I found your website sooner. If self discipline is super strong which, in your opinion, is best to get into ketosis faster? Fasts without any anything or fasts with fat? I’m considering cycling my keto diet for 3 weeks (I had euthyroid sick syndrome as a result of elevated R3 when I was on a paleo diet a few years ago). I’m going to be strict keto /OMAD Mon-Fri and 16:8 Sat and Sun for 3 weeks and then eat moderate carbs while on 16:8 for the week before ovulation (to tell my HPA to chill and ovulate). If I wanted to get back into Ketosis quickly after ovulation (day 16), which would you suggest? I can fast upto 36 hours without any fats except one Bulletproof Coffee daily so any suggestions would be followed very strictly (I’m a black or white kinda-girl). Strict fasting would probably be the quickest but doing a bulletproof coffee with the mct in there would be a good strategy as well! Hey James, it definitely would break the fast. It does not create an insulin response though and improves ketone formation which can still allow for similar benefits of fasting for those who struggle with fasting. If you have extra weight to lose then maybe just opt for black coffee in the morning. Combine this with a light 10-15 minute aerobic activity (like walking) and a quick cold shower and you should see some solid results when done regularly! I have been on the low fodmap diet for ibs-d and would like to do this also. How do I do both together? Hey Lynn, you are better off pursuing one at a time. I have been on keto since last February but when I try to cycle my carbs as in eating only a half of a sweet potato my blood sugar will rise to 180. Before starting keto my alc was 5.7. Why can I seem not to tolerate any carbs now? Also you mentioned vegetable juices while fasting, but wouldn’t that be considered carbs? Thanks for any insight!! Purely vegetable juices like celery, leafy greens, and others with negligible amounts of carbs are okay. Definitely don’t do anything with sugar in it. I don’t have a juicer. Would it be alright to puree leafy greens with water and drink that during IF? Or would that not give the gut enough of a break? That should be no problem Carissa! So on the fasting day, can I eat dinner and then start fasting? I want to fast on green juices so would I eat Dinner around 6 and then green juice after Dinner until after 6 the next evening? You had mentioned no diet is one size fits all. I love my craft beer and although I could give it up, I do not want to. Currently about 10 pounds overweight. I was thinking of doing keto 5 days per week and doing 2 days of higher carbs which would include 3 beers on each of these higher carb days. Thoughts on this? Hey Gary, Unfortunately beer is one of the worst alcohols you can drink in terms of health. Although I would not recommend the beer, following a ketogenic diet may help with weight loss. I would recommend replenishing probiotics and liver support to help with negative effects from the beer. I am on day 110 of feeling great after 4 years with horrible Lyme disease. I got to your advanced stage within 2 weeks and I feel so good I am afraid to do anything differently. I have not cycled at all. Any words of wisdom for me? Hey Bruce if you are feeling great and are not experiencing any negative affects then it sounds like you don’t need to change anything! When you talk about cycling are you just referring to adding more carbs or is it also eating at more regular intervals ? With the first you are going out of ketosis and with the second eliminating autophagy as I understand it. Thank you again. Hey Bruce, cycling will be introducing carbs periodically such as once a week. Fasting is great for the autophagy benefits so I like to recommend something like Intermittent fasting for 14-18 hours from dinner to breakfast each day, having a higher carb day either once a week or every 2 weeks, and doing a 24 hour fast from saturday night dinner to sunday night dinner. This is something to work up to! Is p90x too intense for keto if I have autoimmune hypothyroid issues. What kind of exercise do you recommend? I have Hashi’s and am going through menopause. I was feeling zombified by the end of week 2 without any exercise at all. Going to try it again, this time cyclical. P90x has always been my go to but I’m just not sure if it would be putting too much of a demand on my body given my situation + keto. Hey Dana, you may want to hold off on super intense exercise until you are fully keto adapted. If it is 2-3 short sessions a week (15-30 mins) it may be okay but just be keen on how you are feeling. Thank you for this volume of great information, please keep it up! You are so welcome!! Be Blessed! Hello Dr. Bruce, I was wondering if a ketogenic diet in any form is appropriate for a person with a bile reflux and bad chronic gastritis (both because of the bile and the irritated gut lining)? And, off topic (sorry for that but I am desperate) if not, is there any other food + supplements protocol you would recommend to follow in order to finally get out of this circle of temporary improvements and flares, and restrictive bland diet high in carbohydrates, as these are most foods I can tolerate (I have read that it is good to start eating gluten-free or grain-free but do not know how to get to the point of tolerating even oatmeal and brown rice (being too granular for the stomach linen)? Thank you a lot! Just curious, how do you feel about low carb breads? I found a site, Great Low Carb Company, and they have bread that is 1 net carb per slice. Would you just stay away all together, or should this be OK if it fits within the allotted carb range? They can be good! You just have to make sure the ingredients work for you body! But it won’t elevate your blood sugar so that is good! I’m confused about the IF time, I know it’s a 24 hour fast with just fats during fasting time, but are we eating a “carb up” meal for Saturday dinner or fasting? The recommendation states Saturday to Sunday dinner so I’m just confused as to is Saturday dinner still carb up or a fat fasting meal. Thanks for any insight. Hey Tina, yes it will be a higher carb meal Saturday night, followed by the fast which would last from Saturday night dinner to Sunday night dinner. I hope that helps! Thank you Dr.jockers for the information and quick reply. This helps immensely, looking forward to trying this. On days you increase carbs…do you decrease fat intake? Also, how much protein is recommended on keto days? Thanks! And great info for me. I had adrenal fatigue abc and hypothyroid. Dr Jockers, I recently started Keto about 1 month ago. I just learned about Carb cycling which I have done once this week. I also had my 16 year old join me as she was about 30lbs over weight.. She was doing fine and dropped 11 lbs in the last 4weeks. But recently she has been very moody with anxiety and cries easily.. She does fast from dinner at 6pm each day to 9am when she eats breakfast. She eats around 20gms of Carbs each day and about 70gms protein and fat is a lever. We cook with butter and avocado oil. She takes magnesium and I have been making her drinks with Lite salt to get her Pottasium and Sodium in.. I am thinking to increase her carbs but I am concern she will regain the weight.. I added some cooked carrotts and a piece of sweet potato to her dinner one evening but the next day she was just as moodie.. What do you suggest..
Hey Gail, there could be other factors involved. Make sure she is getting good sleep, hydrating well, getting omega 3 fats, and getting plenty of sun (especially in the morning). She is young so she may do better on a low-carb diet where carbs are consumed at dinner only each day between 40-80 grams. Hello Dr Jocker, thank you for your reply. I will increase her carbs. She got a bit worst yesterday and seemed severely depressed so I took her to emergency and they have admitted her. They will run some blood work to see if there are some other underlying causes. My energy and metabolism has been so low for so long that I barely function. I eat healthy, basically paleo style, no gluten, no dairy, healthy fats. used to be on thyroid meds for years and never felt relief, in fact felt worse alot. After crying to Dr he agreed to let me off meds and try thyroid reversing alternative health natural methods to stabilize thyroid and I am happy to say that my thyroid panels have been normal range for 4 years now (tested 2x/yr)… but I still have symptoms and my energy levels are insanely low. I force myself to the gym 5 – 6x a week to do cardio but my effort once there is wimpy. I gain weight way to easily and impossible to lose. (5’1″ 125 lbs.. and think I should be at 110 lbs). I sit 8 hrs a day in a desk job and when I go home I cant wait to get back to bed because I have no energy. Been to so many doctors who have been no help to figure out what is driving my very out of balance metabolism. Desperate to not feel this way (and frightened for it to get any worse) I started researching on internet and am wondering if my body needs a ketogenic diet. I am so exhausted and overwhelmed and not sure how and where to start. 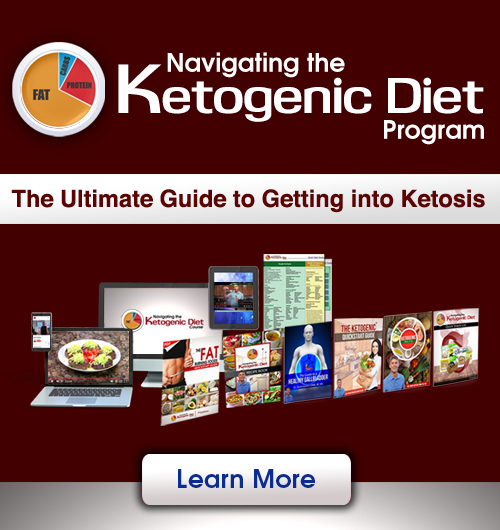 My gut feeling tells me ketogenic is the key but now that I started reading I am overwhelmed in know how to start and which keto program to follow. Can you please help guide me? I am committed to do what it takes but don’t know how to figure out what to do, what meal plan to follow, what supplements to take. GRATEFUL FOR YOUR HELP. Hi Dr. Jockers! Vodka and lime juice – okay? Not a huge fan of alcohol but one or two of these should be okay. Only way to know for sure is to measure your ketones! My friend is suffering from hypothyroidism and she had two miscarriage amd 1 abortion due to thyroid. Should i suggest her cyclic keto diet. Other one is also suffering from hypothyroidism, should i also suggest her cyclic keto? Hey Kayaan, sorry to hear about this. It could be helpful, but they may want to consider working with a functional nutrition specialist to get to the deeper issues going on. Hi, Dr. Jockers! I just found you through the Keto Summit. Thanks for all you did — I learned A Lot! I listened to most of the experts — but no one addressed my problem. I’m a 61 year-old female who leads aerobics class 3 days a week, in great health — except for being obese. I started keto 6 weeks ago to lose 50 pounds. Most of the time I feel so stuffed I don’t even want to eat (but I force myself to eat my protein) so intermittent fasting isn’t a problem! I feel wonderful and I am positively bursting with energy… but I’ve lost only 10 lbs. (a 4 pound water whoosh and then 1 pound lost per week) despite eating 850 calories daily of 85-90 g protein, 40-50 g fat, and 5-20 g carb (total). Oh, and I average 10-11 cups of water daily. I have been through 1 feast/fast cycle (cuz I just “met” you) but it didn’t seem to change anything. BTW, that fast cycle was an easy 42 hours. Accustomed to eating twice as much on the strict Atkins diet, I am wondering why I’m losing weight so slowly! And that makes me think I’m doing something wrong! I hate to mess up this wonderful energy and feeling great thing that I’ve got going — but man, my knees can’t take this extra weight! Have you any insights into how I might speed up weight loss to something approaching “normal” (2 lbs/week)? Thank you. I’ll be trying a few of your hacks! Hi y’all. I’m a little confused as to how to proceed. I am a beginner to keto eating and I don’t have a thyroid. So should I not do this or proceed slowly? I don’t eat meat, and fish just occasionally. In my first week I am trying to lower my carbs to 50g, but it seems so hard to do when all I eat are vegetables and nuts and seeds. I am also feeling extremely faint and am afraid to pass out on the job (I am a house cleaner). I am just wanting to increase my energy levels but am afraid I may never go in to ketosis as a vegetarian and reach my desired results. I have every healthy oil on my counter but I can’t eat spoonfuls of them to make me feel full or reach my required fat levels. Do you have any good resources available for vegetarians? Does taking supplements break a fast, specifically magnesium? I have seen so many different opinions on this and am quite confused. Hey Shirley, it depends. I would suggest monitoring your blood sugar after taking magnesium and see if it fluctuates at all. I am at a loss, I have it seems tried everything, I have Chronic Lyme autoimmune complex, also have the CBS mutation Homozygous, plus many others, including the mthfr mutation as well. I get so lost with everything, I feel awful, I am 60 pounds overweight, and just want to get better, feel better. Hey Shelly, prolonged fasting may be something to consider! I appreciate your article. My husband is 87 and has mild dementia. He also has familial high cholesterol. Wouldn’t a ketogenic diet push his cholesterol higher? There are no functional medicine doctors near where we live so I am doing all the research myself and don’t want to make him worse. Could you please comment on this. Many thanks for your informational website. I think we will have to take a middle of the road approach and concentrate on lowering inflammation. We need more doctors like you! I am a 72 year old lady who was diagnosed with Stage 4 Cancer in March of 2010. My cancer was in my left breast and traveled to my thoracic spine. I had a lumpectomy and surgery on my spine, together with oral chemo, radiation and a non-chemo bone drip every month for 7 1/2 years. The Zolota drip caused me to have necrosis in my jaw. I am doing much better. It will be 9 years in March of 2019 that I have been stable and in remission. Can you advise me what supplements I can take for my Cancer? My cousin Sandy Ryan told me about you. I am also trying to diet and I am also interested in supplements for dieting. I am still on oral chemo every two weeks. Thank you for your help. Can you order these supplements on line? hi I do not drink coffee. what other ways can I get fat in during my fasting? This so awesome. I have been trying to do a program by Dr Jason Fung from Toronto Canada. Found no help from MD or ND. I can not believe you answered all these questions and gave website to look at which I will be doing. i think I’v just not found the right person to see. Hey Bev, I hope this information helps you achieve your health goals! My issue is I cannot eat any carbs without my blood sugar rising. I’m not considered a diabetic, and the doctor says I am fine because my fasting blood sugar is perfect. But I eat a carb and my blood sugar will go to 175 and then drop to the 50’s. Even pairing a tortilla with protein and fat, doesn’t help. I do have SIBO and fatty liver, but I’ve been following a healthy diet for 20 plus years. I sometimes wonder if eating low carb all these years has messed me up so that now I cannot eat carbs without my blood sugar going crazy. I am losing muscle I think from not having carbs. And I can tell when my blood sugar is up, cause I feel it in my sinuses. And if I’m not careful, I get a major sinus infection. Sorry to hear this Cheryl! Yes, your body may have a form of carbohydrate resistance. I would stay very low carb and work on healing your gut! Blessings! I have (had, hopefully) breast cancer. My research says keto dieting will bring down the blood sugar and that a very low blood sugar is necessary for cancer. I never had a blood sugar issue until I got cancer two years ago. Have been gluten/sugar/soy/corn free for four years. On the keto diet for 2 years. The meat I do eat is pastured. Before cancer, my blood sugar was regularly in the 80’s; then it was in the 110s, even though I had no sugar and no starchy carbs. I have had surgery and radiation and take many supplements recommended by Dr. Wm Lavalley, a holistic oncologist. He also had my doc prescribe Metformin but I still can’t get the blood sugar down below 100 in the morning. It is very frustrating to hear the keto proponents like Mercola and Perlmutter say the keto will bring down the blood sugar. It has not done that with me. Why not? I do my ketosis testing by blood and its been pretty stable at .7. I am worried that if I can’t get it down, the cancer will come back. You suggested to Cheryl to heal the gut; I did the Cyrex testing and other testing and I don’t have gut issues. (have been under the care of functional med docs for 4 years). So I am new to the whole Keto/IF thing. My question is during the 24 hour fast you say you can have fats but no carbs or proteins, so I’m wondering if there’s any food that would fit under that category. I do not drink coffee and do not have a juicer. Would that leave my only option being water, or is there something food wise I could consume? Yes you could do coconut oil if you wanted too otherwise it is best to just do water.